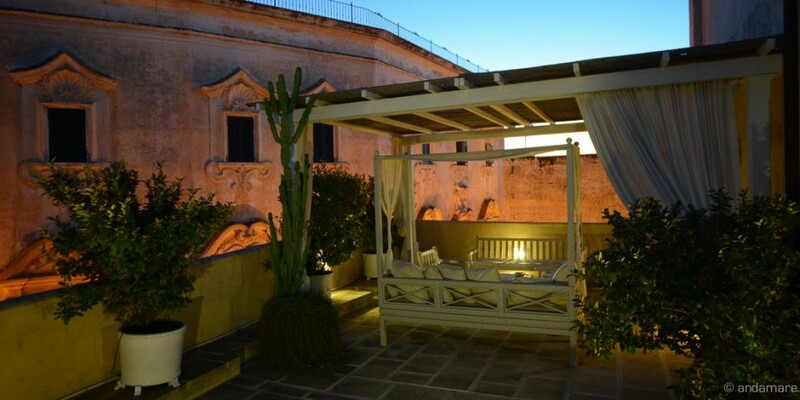 Yeah, right, we are not the only ones being keen on the Lune, the most beautiful room of the hotel Relais Corte Palmieri in the center of the old town of Gallipoli. 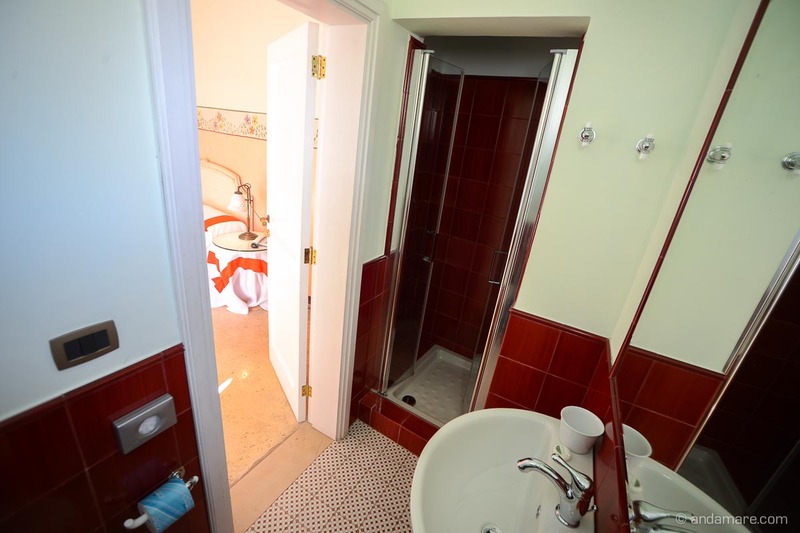 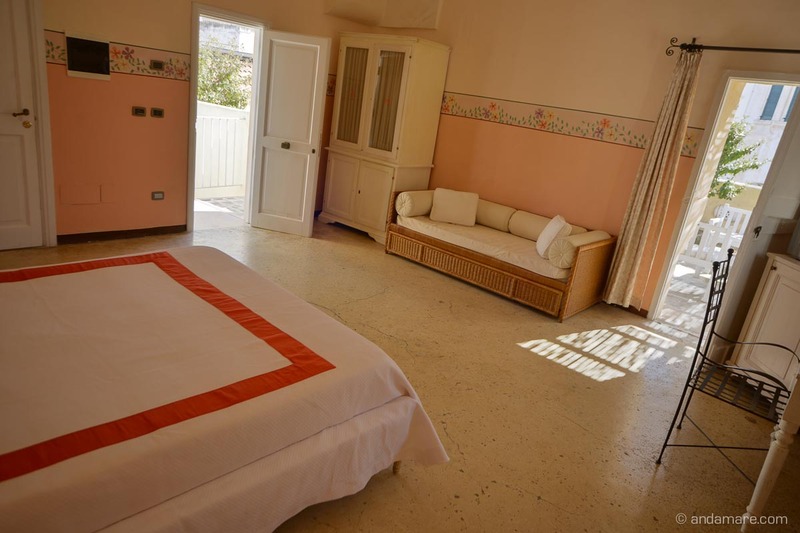 Actually, the room is not really fancy though, nor modern, nor of special design; it’s spacious and other than that, quite normal. 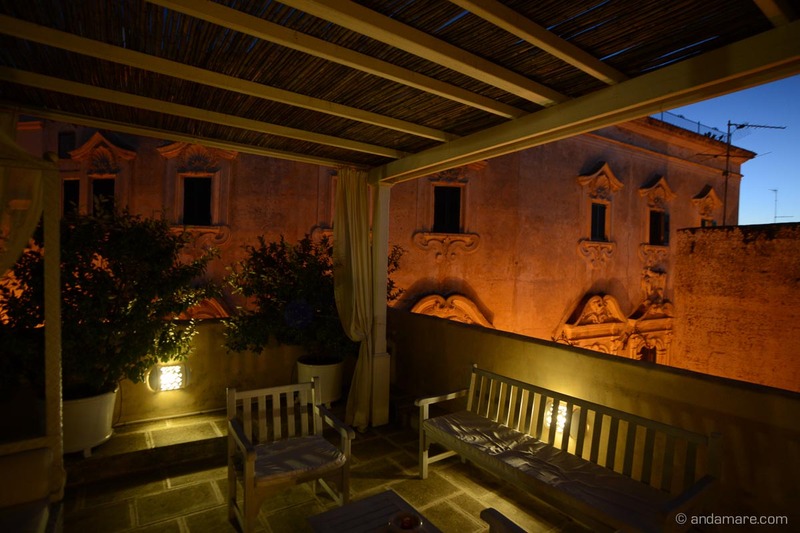 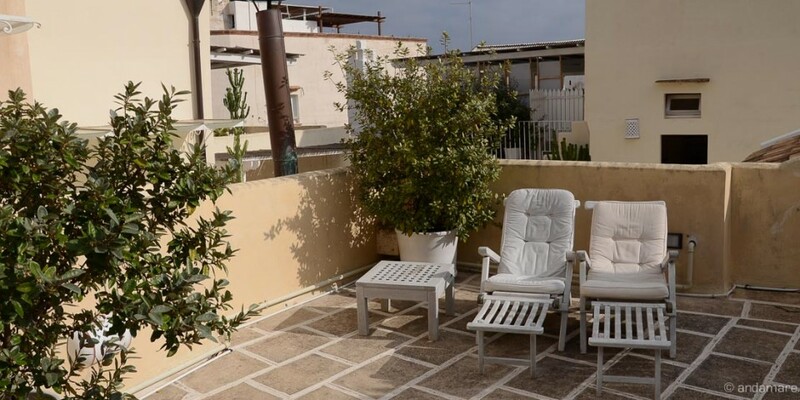 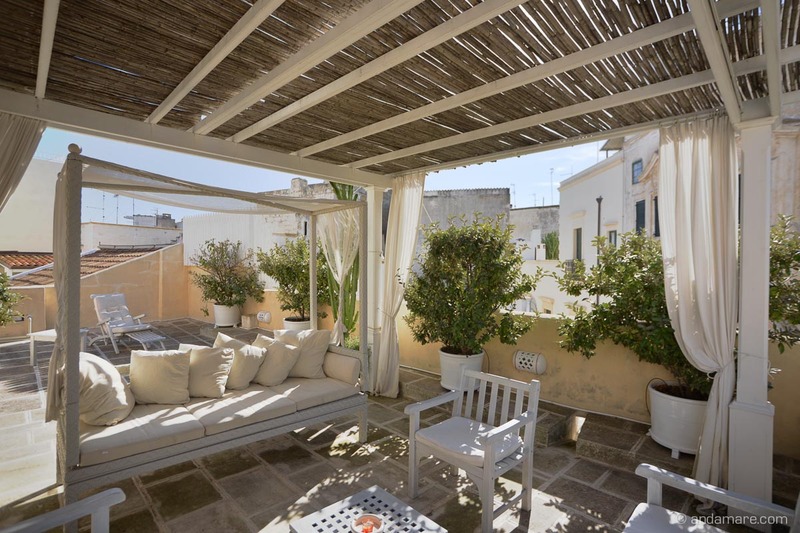 Yet the stunning part is its private terrace above the rooftops of Gallipoli and somehow the almost mytical atmosphere. 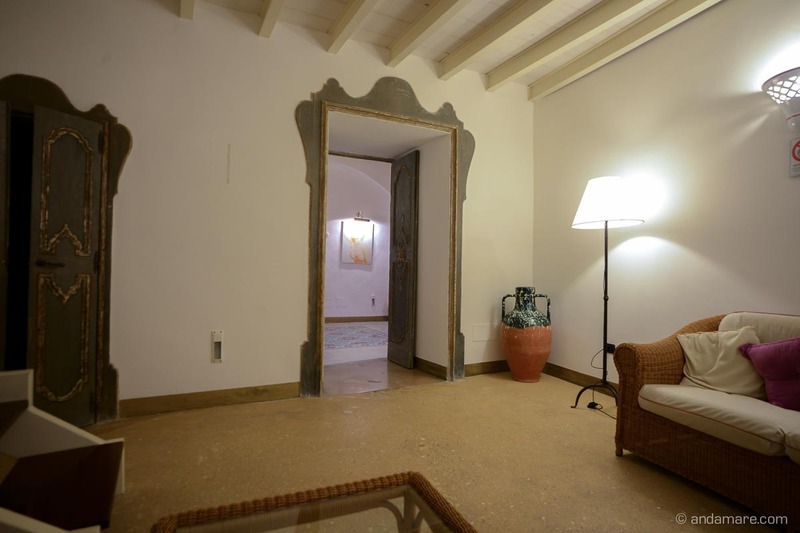 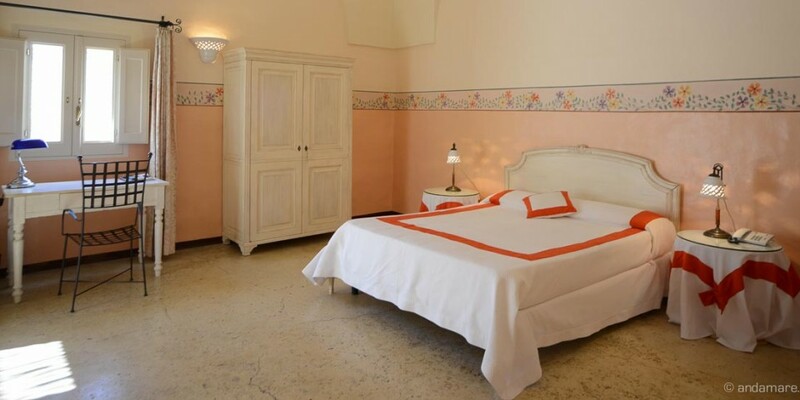 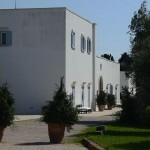 Quite rightly they call the Relais Corte Palmieri “Dimora storica” (historical residence). 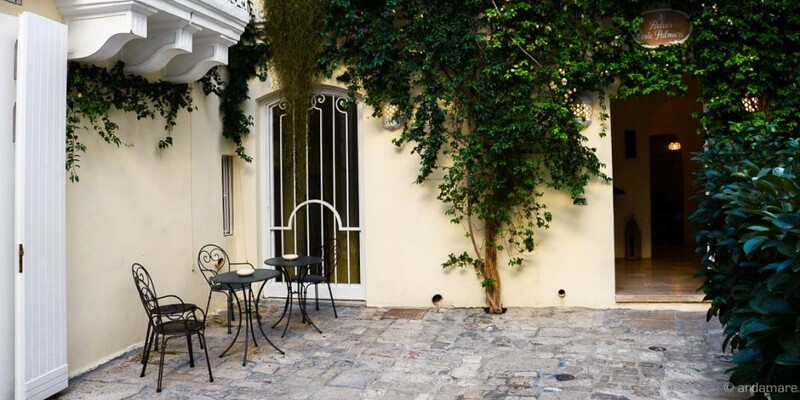 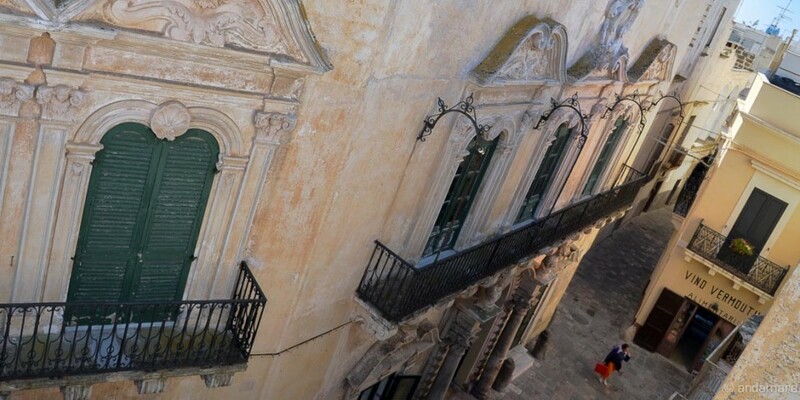 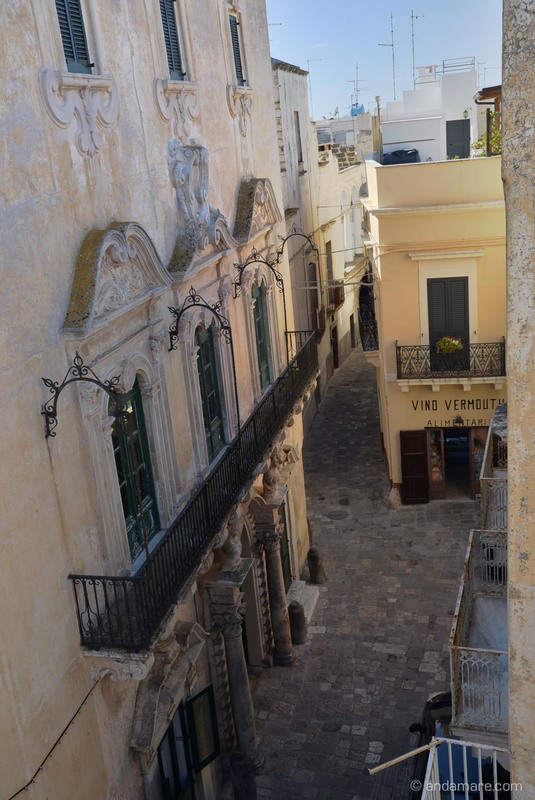 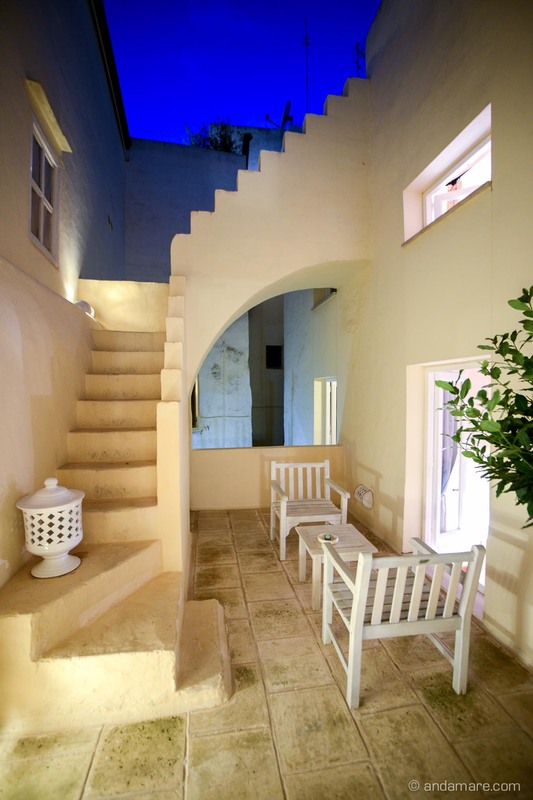 The beautiful home is full of nooks and crannies, winding like the old town itself; steep steps lead upstairs to the rooms and the toproof on which they serve breakfast. 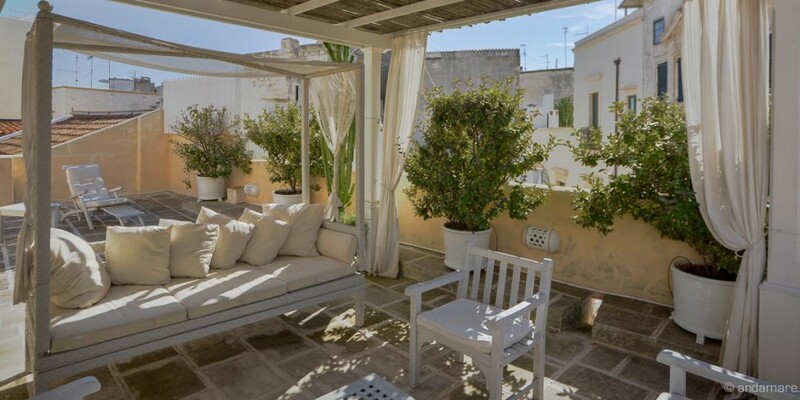 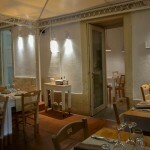 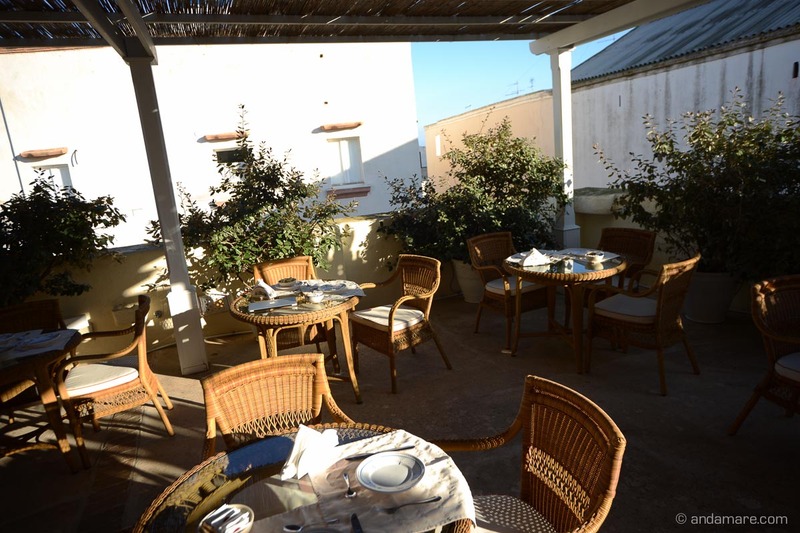 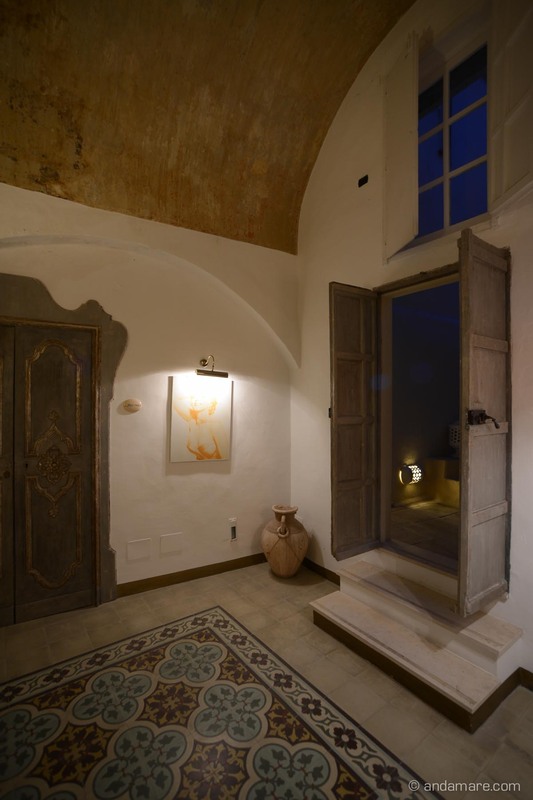 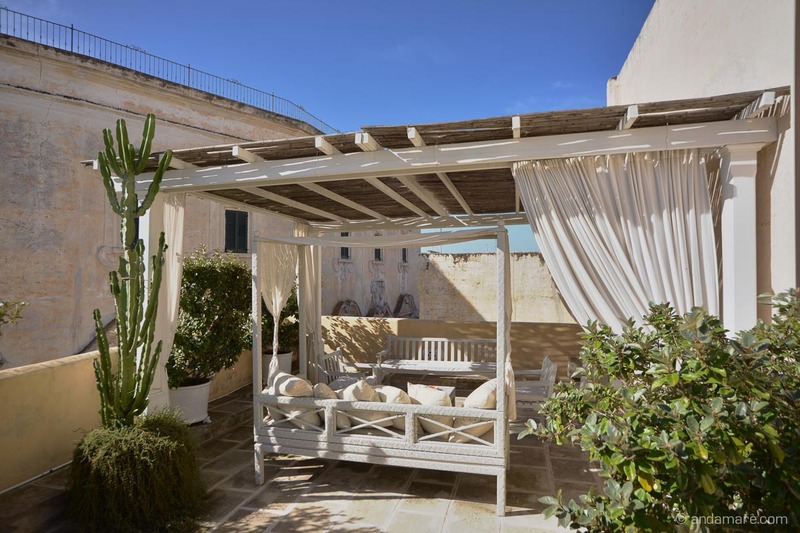 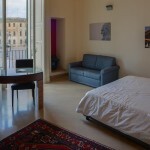 The Luna, located a little away from the other rooms and with its private terrace is a great home to explore Gallipoli.